Welcome to Wishing Bridge is the first in a new series by Ruth Logan Herne. Welcome to Wishing Bridge! By all means, yes! I want to live there! It sounds like the perfect little town but close enough to a big city for shopping. My kind of hometown. Kelsey McCleary is on the interstate in a snowstorm and is forced to take the exit to Wishing Bridge, N.Y.
A real “welcome”: her car goes off the road, she almost doesn’t get discovered, and to add to the drama— she is in labor! The book’s circumstances are unbelievable but Ruth Logan Herne makes you believe! 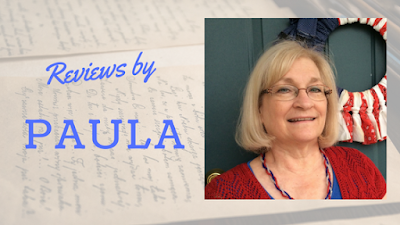 This story has all the great elements: Comedy, tragedy, old hurts, mystery, the unforeseen, difficulties, renewed friendship and touching scenes. Ms. Herne pulls off the seemingly improbable and shows that God is still in control and still in the miracle business. This town has a heart for people. Kelsey’s friends, Thea and Jazz respond to Kelsey’s S.O.S. call and are taken with the people of the town. They are determined to be there for their friend. My favorite secondary characters are Avis, the motherly midwife and Maggie and Jebb who take Kelsey and her baby into their home. This brings healing to all of them. I see more stories about Wishing Bridge in the future! My friend has recommended Ruth Logan Herne to me and I am so glad I finally got to read this exceptional book. I will be sure and keep up with the folks in Wishing Bridge! Kelsey is on her way to a life do-over. And it’s not the first time. Abandoned by her drug-addict mother as a teen, she landed in a foster-care group home where she experienced faith and community—and met her best friends, Jazz and Theadora. The trio stuck together like sisters and vowed to make their lives mean something. Now Kelsey’s pushing thirty, and her life has taken a wrong turn. Pregnant and alone after loving the wrong man, she’s on her way to making another life-changing decision when a wicked blizzard strands her outside the sleepy town of Wishing Bridge. After being rescued from a snowbank by handsome cop, she’s embraced by the welcoming village, but she still feels upside down. Fortunately, her frantic SOS brings her besties rushing to help sort things out. 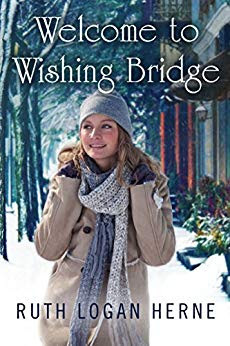 They soon find that Wishing Bridge has as many secrets as Kelsey does—and she’s connected to it in ways she couldn’t have imagined. Hey Paula! Thanks for reviewing with us! This is such a popular series from Ruth - and rightly so!